Andrew Hellmich is the host and founder of PhotoBizX, the business focussed, weekly audio workshop for wedding and portrait photographers. He also runs a successful wedding and portrait photography business in Australia. Andrew has been shooting professionally for 20 years and photography has allowed he and his family a terrific lifestyle, a home, great schooling for his boys and overseas holidays most years. In Andrew’s words… I was once told “Get paid for what you love to do and you’ll never have to work a day in your life”. This resonated early in my life and became a focus. I don’t consider myself an amazing photographer and I didn’t get where I am by working it all out on my own… no chance. Instead, I listened and learnt from those better than me. I want to give a huge thank you to Andrew for taking the time to chat with us! I consider myself as much a student as the listening audience, and appreciate him sharing his extensive knowledge with us. 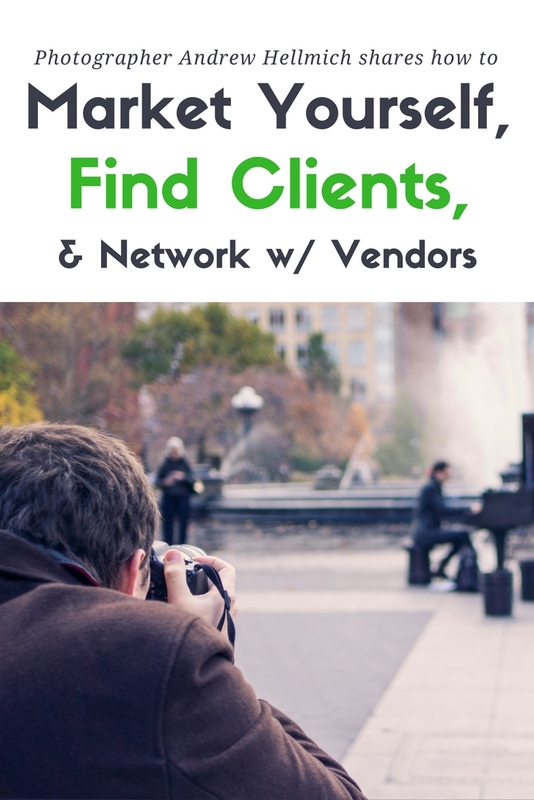 Finding your right style, branding, attracting clients. Branding is what people think of you. It’s the experience. Carry it all the way through. People buy into you. » Photobizx.com: an excellent resource for wedding and portrait photographers wanting to improve their businesses.